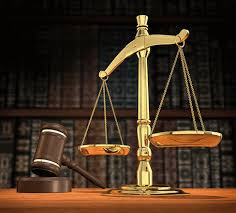 Reliable information gathered by Family Writers has revealed that a judge of the Federal High Court in Abuja, Justice Adeniyi Ademola has been subjected to a deep heated furnace of intense pressure by the Nigerian government, as President Muhammadu Buhari through his henchmen, the DSS has ordered the High Court judge to strike off the "contempt of court proceedings" filed against Buhari's government by the leader of Indigenous People of Biafra, Mazi Nnamdi Kanu. The recent legal assault launched by the IPOB leader against the federal government is as a result of the failure of Buhari and his DSS henchmen to adhere to court injunction led down by the Federal High Court Abuja presided by Justice Ademola, which ordered for the unconditional release of Nnamdi Kanu. The information revealed that Justice Ademola has the constitutional duty to entertain the case, as he is the one whose court order has been flagrantly disobeyed with impunity by the Buhari's government. It also noted that President Buhari, who had already publicised his resolve never to release Nnamdi Kanu has been deeply unsettled over the recent move of Nnamdi Kanu through his legal team; prompting the psychological and physical clamp down on Justice Ademola and other judges in the past few days. Justice Ademola, who had on October 7, 2016 slammed a fine of 10 and 20million naira respectively on DSS for the illegal detention and abuse of the fundamental human rights of two complainants in his court, could not evade the tyrannical rage of the Aso Rock seat of power, as the Nigerian DSS whisked him away on the early hours of Saturday October 8, after being held hostage in his house for about 12hours. While the fearless judge have been released on bail, it has been alleged that the DSS on the order of President Buhari had during his detention, threatened that he strike off Nnamdi Kanu's recent suit or the federal government will ensure that he goes to jail, as the DSS claims of having evidences of his involvement in corrupt practices which would be enough to send the Chief judge to jail. The reliable source stated that a similar threat was issued to Justice Tsoho which led him into committing "judicial rascality", by overturning his previous ruling against secret/masquerade trial for Nnamdi Kanu, as well his refusal to grant the Biafra leader bail. The recent clamp down on Nigeria judiciary by Buhari's government has generated a wide range of local and international condemnations and criticisms, as President Buhari has been accused of resuscitating his long gone military days as a dictator.